Counter-Strike co-creator Minh Le gives his thoughts on building Counter-Strike for teamwork, as well his views on shooters in esports. Counter-Strike co-creator Minh Le was quite outspoken throughout his interview with Shacknews. Our own Asif Khan and Blake Morse spoke extensively with Le at this year's Game Developers Conference, touching on a variety of topics. 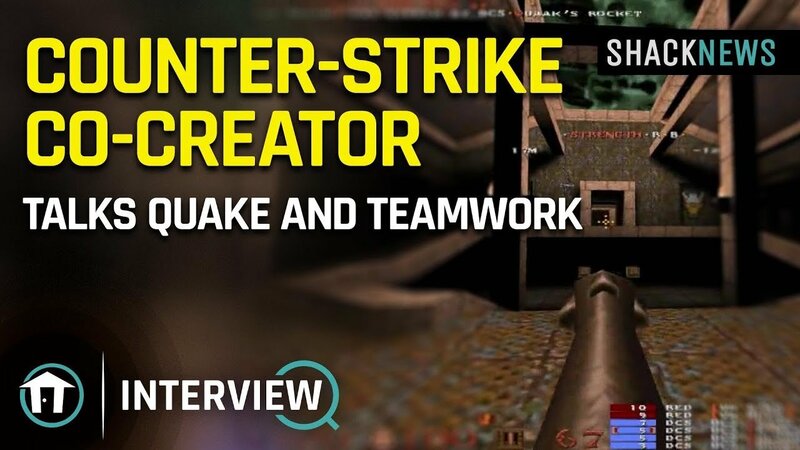 Among the talking points were the creation of the long-time Valve staple Counter-Strike and how it picked up some influences from games like Quake, particularly when it came to designing the teamwork element. "One of the problems I had with Quake Deathmatch was there was no teamwork," Le told Shacknews. "It was really just... singular individual skill. That's kind of my impetus for making Counter-Strike. I wanted a game that would encourage teamwork and just have players work together a bit more. I was hoping Counter-Strike would be that and, thankfully, it did become that." The topic then shifted to the esports world, with Le adding in his thoughts on games like Counter-Strike: Global Offensive and Tom Clancy's Rainbow Six Siege aiming towards simplistic, easy-to-understand rules, as opposed to the more complex rule sets of games like Overwatch. More interestingly, Le had some thoughts on publishers that aim for annual games, like Activision and EA, and their attempts to put their yearly franchises into esports. "A lot of the players that play today, a lot of the skills that they're training for, they've been training themselves for five years," Le says, regarding CS:GO. "Because of that, the game hasn't changed. They're able to carry their skills along with the game. But when you look at games like Call of Duty or Battlefield, they're always introducing. That's why when you look at those games, their esports can never grow with those types of games, because they keep re-introducing the gameplay every two or three years." The interview focuses a lot on the esports world and the intricate design of gaming's best shooters. Le previously had a lot to say to Shacknews about Counter-Strike, matchmaking design, and cookies. For all of our chats with Minh Le, as well as all our interviews from GDC 2019 and gameplay footage of the latest games, be sure to subscribe to Shacknews and GamerHub.TV on YouTube.